In what became a battle of the bullpens on Friday night at LewisGale Field, the Salem Red Sox used one big inning to knock off the Myrtle Beach Pelicans, 3-1. Both starting pitchers in the game were phenomenal with Salem’s Matt Kent and Myrtle Beach’s Preston Morrison trading zeroes through six innings. Kent limited the Pelicans to just three hits in his six frames, facing only two over the minimum thanks to a pickoff and a double play. The southpaw walked one and struck out four while not allowing a Pelicans baserunner to get past first base. He has now thrown 11.1 straight scoreless innings and leads the Carolina League among active qualifiers with a 3.31 ERA. Meanwhile, Morrison mowed down the Red Sox (62-41, 19-15) in his debut with the Pelicans (54-51, 18-17). The righthander worked around at least one baserunner in the first five innings before retiring the side in order in the sixth, punctuated by his fifth and sixth strikeouts of the game. Once both starting pitchers left, the offenses woke up. Myrtle Beach loaded the bases with one out against Bobby Poyner in the seventh on a single, double and intentional walk. But Poyner (1-1) worked out of the jam by striking out Erick Castillo and forcing a foul out from Daniel Spingola. Buoyed by the momentum shift, the Red Sox struck for three runs in the last of the seventh against Daury Torrez. Jayce Ray started the rally with a double to right and scored on a Deiner Lopez RBI single that plated the game’s first run. Lopez would promptly score on an RBI triple from Joseph Monge before Rafael Devers drove in the third run of the inning two batters later on a fielder’s choice. Torrez (1-2) allowed all three runs while recording only two outs. Poyner left with a runner at first and two outs in the eighth, giving way to Jamie Callahan, who yielded an RBI double to David Bote, but escaped without further damage. Callahan worked a 1-2-3 ninth inning to earn his fourth save of the season. Salem will look to win the series on Saturday night at 6:05 pm. Trey Ball (5-4, 3.79) climbs the hill for Salem opposite Jonathan Martinez (8-5, 4.07) for Myrtle Beach. 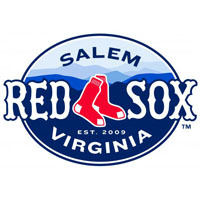 For tickets and more information, call (540) 389-3333, or slide towww.salemsox.com/tickets.